The Press Area is here for all of your press and PR enquires. If you have any press related enquires, feel free to contact Wineware either by phone (01903 786148) or email (info@wineware.co.uk) regarding any images or information and we’ll be happy to help. We will do our best to provide high res images of any products featured on our website that you wish to feature in your magazine or on your website. We can also provide you with any additional information should you require, but our website is always being updated. 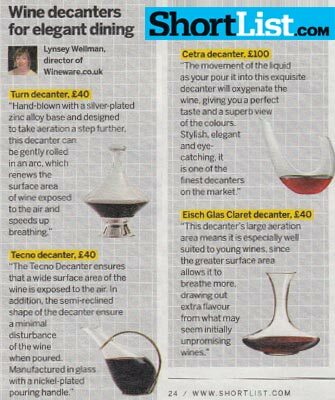 Alternatively, if you’ve seen Wineware featured anywhere…let us know! We’ll be delighted to hear from anyone who has seen us featured, send us an email or even tweet us on Twitter.